206 Hitler. Boston. Little, Brown Co. 1980. Octavo. Hardcover. First edition. Illustrated. Fine copy in fine dust jacket (in mylar). 206 Professions of a Lucky Jew. New York. Cornwall. 1992. Octavo. Hardcover. First edition. Illustrated. Fine copy in fine dust jacket (in mylar). 206 The Federal Debt. Structure and Impact. New York. Twentieth Century Fund. 1953. Octavo. Hardcover. First edition. Illustrated. Fine copy in near fine (very light shelf wear) dust jacket (in mylar). 206 The Hitler File. 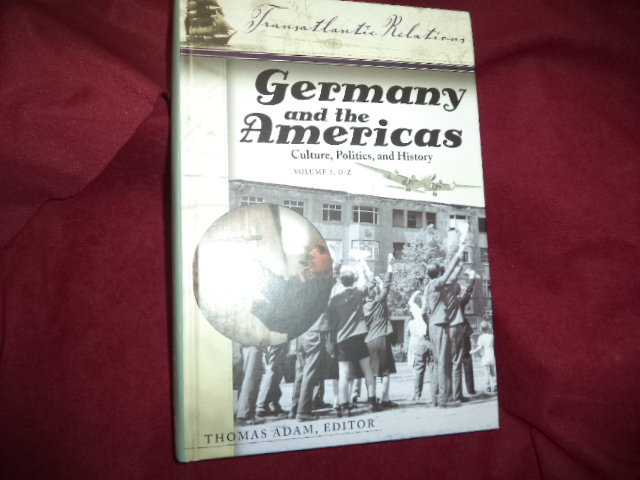 A Social History of Germany and the Nazis. 1918-45. New York. Random House. 1974. 4to. Hard cover. First edition. Illustrated. Fine copy in very good (closed tears) dust jacket. 206 The Moses of Rovino: The Stirring Story of Fritz Graebe. A German Christian Who Risked His Life to Lead hundreds of Jews to Safety during the Holocaust. New York. Dodd, Mead & Co. 1985. 208 pps. Octavo. Hardcover. First edition. Fine copy in fine dust jacket. 206 The Moses of Rovno. The Stirring Story of Fritz Graebe... New York. Dodd, Mead & Co. 1985. Octavo. Hardcover. First edition. Fine copy (book plate) in fine dust jacket. 206 The War with Germany. A Statistical Summary. Washington. Government Printing Office. 1919. Octavo. Hardcover. First edition. Illustrated. Fine copy. 206 To Kill a Nation. The Attack on Yugoslavia. London. Verso. 2000. Octavo. Hardcover. First edition. Fine copy in fine dust jacket. 206 What I Saw. Reports from Berlin. 1920-1933. New York. W.W. Norton. 2003. Octavo. Soft cover. Reprint. Illustrated. Fine copy. 206 What Would Lincoln Do? Inscribed by the author. A Call for Political Revolution Through the Ballot. Stamford. Non-Partisan League Pub. 1931. Octavo. Hardcover. First edition. Inscribed by the author. Limited edition number 444. Fine copy. 206 Where Are We Heading? New York. Harper & Brothers. 1946. Octavo. Hardcover. First edition. Fine copy in near fine (very light shelf wear) dust jacket (in mylar). 303 Shooting Under Fire. The World of the War Photographer. Photo available. New York. Artisan. 2002. 223 pps. 4to. Hardcover. First edition. Full number line. Illustrated in black, white and color. Important reference work. Fine copy in fine dust jacket (in mylar). 303 The Mighty Eighth. In Color. Photo available. Stillwater. Specialty. 1992. 160 pps. 4to. Hardcover. First edition. Full number line. Illustrated in black, white and color. Important reference work. Fine copy in fine dust jacket (in mylar). Abbot, Willis. The Nations at War. New York. Leslie-Judge. 1918. Octavo. Hardcover. Reprint. Many photos and color plates. Fine copy. Abell, Sam. The Civil War. An Aerial Portrait. Charlottesville. Thomasson-Grant. 1990. 4to. Hard cover. First edition. Illustrated in black, white and color. Fine copy in fine dust jacket (in mylar). Ackerman, Bruce. Before the Next Attack. Preserving Civil Liberties in an Age of Terrorism. New Haven. Yale University Press. 2006. Octavo. Hard cover. First edition. Fine copy in fine dust jacket (in mylar). Aczel, Tamas. The Revolt of the Mind. A Case History of Intellectual Resistance Behind the Iron Curtain. New York. Frederick A. Praeger. 1959. Octavo. Hardcover. First edition. Fine copy in very good (light shelf wear) dust jacket (in mylar). Adair, Gilbert. Vietnam on Film. From the Green Berets to Apocalypse Now. New York. Proteus. 1981. 192 pps. 4to. Hardcover. First edition. Illustrated. Fine copy in fine dust jacket (in mylar). Adair, Gilbert. Vietnam on Film. 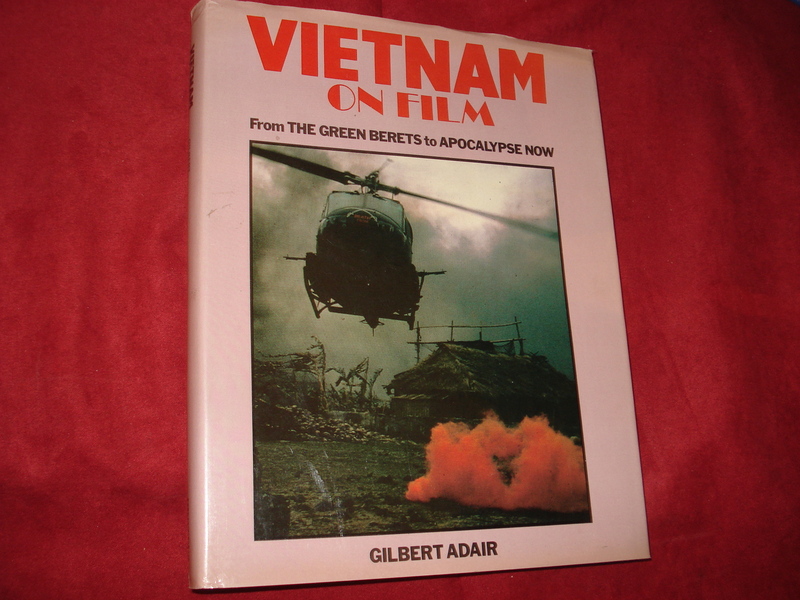 From The Green Berets to Apocalypse Now. Photo available. New York. Proteus. 1981. 4to. Hard cover. First edition. Illustrated. Fine (owner inscription on end paper) copy in fine dust jacket (in mylar). Adair, Paul. Hitler's Greatest Defeat. The Collapse of Army Group Centre, June 1944. London. Arms and Armour. 1994. Octavo. Hard cover. First edition. Illustrated. Fine copy (owner blind stamp) in fine dust jacket (in mylar). Adam, Robert. 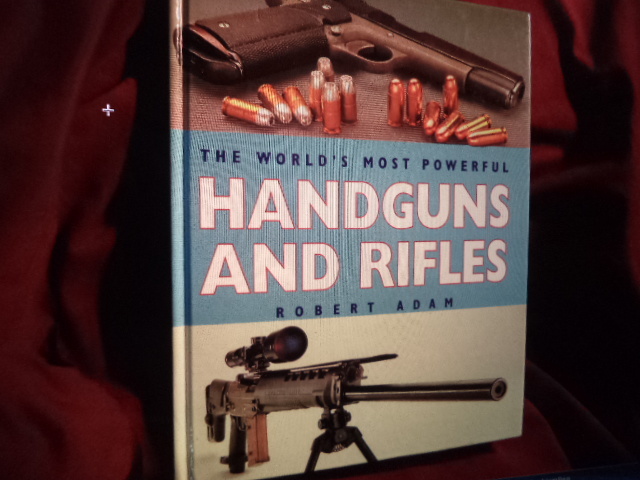 The World's Most Powerful Handguns and Rifles. Photo available. North Dighton. JG PRess. 1996. 4to. Hard cover. First edition. Illustrated in black, white and color. Fine copy (small ink mark on end paper). Adam, Thomas. Germany and the Americas. Culture, Politics, and History. Volume 3, O-Z. Photo available. Santa Barbara. ABC-CLIO. 2005. Octavo. Hard cover. First edition. Illustrated. Important reference work. Scarce. Fine copy (owner blind stamp). Adams, James Truslow. The British Empire. 1784-1939. New York. Dorset. 1991. Octavo. Hard cover. Reprint. Fine copy (owner blind stamp) in fine dust jacket (in mylar). Adams, James. Engines of War. Merchants of Death and the New Arms Race. New York. Atlantic Monthly. 1990. 307 pps. Octavo. Hardcover. First edition. Illustrated. Fine copy in fine dust jacket (in mylar). Adams, James. Secret Armies. 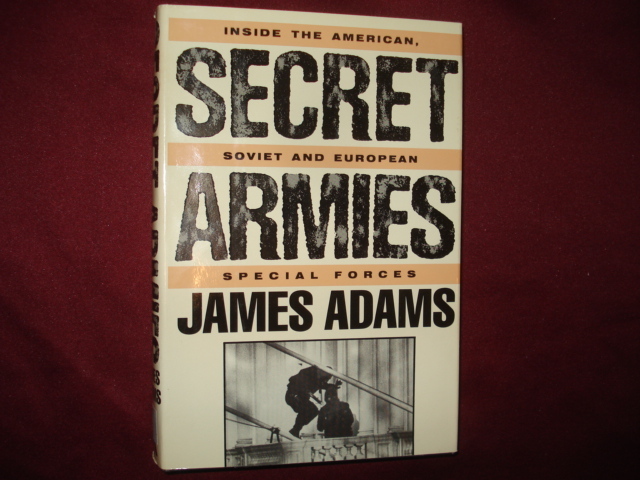 The Full Story of S.A.S., Delta Force and Spetsnaz.Inside the American, Soviet and European Special Forces. Photo available. New York. Atlantic Monthly. 1987. Octavo. Hard cover. Reprint. Illustrated. Fine copy in fine dust jacket (in mylar).